It is the perfect time for you to consider now when and where you want to go, because the selection procedure is only once a year. One of the advantages is no need to pay tuition fees, which might climb high. 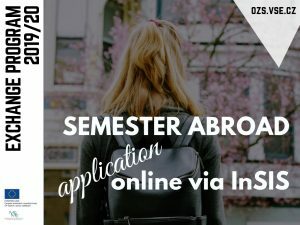 You have the unique opportunity to spend 4-5 months in another country, other culture and meet new friends. You will learn to look at things from different perspectives and move your knowledge bar a few meters above, but you will also find a lot of things about yourself, about what you can do and achieve.